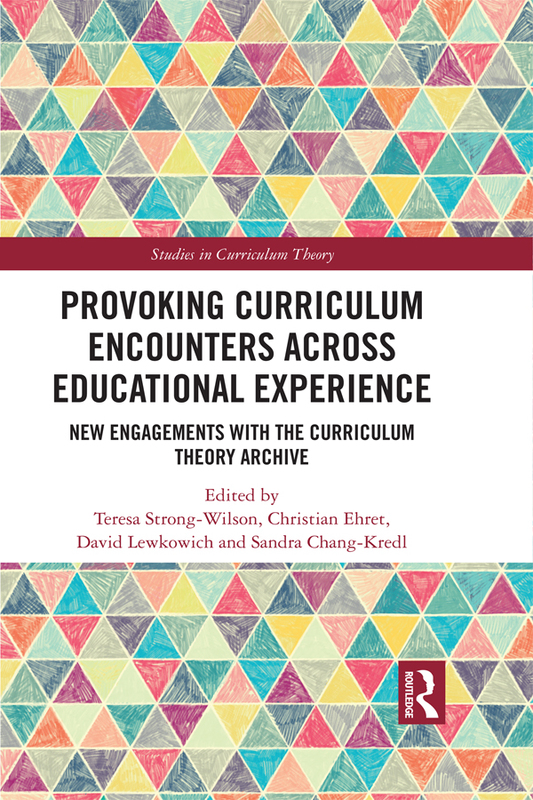 "Provoking Curriculum Encounters Across Educational Experience is an exceedingly beautiful collection of essays that serves as a timely companion and provocateur to Pinar and Grumet’s pivotal text, Toward a Poor Curriculum. In their deeply pedagogic, richly theorized, and affectively charged autobiographical accounts, the authors offer new imaginaries of how we might live in ethical relation to history, place, and the other. A must read for those who wish to understand and enact education as an encounter with existence." Anne M. Phelan, University of British Columbia. "The editors and authors of this remarkable collection pay deep respect to the living archive and seminal reconceptualist text Toward a Poor Curriculum, yet they also move in new directions that challenge the prevailing curricular paradigm as scripted, measurable, and tested. This group of scholars opens up spaces of curricular possibilities that are autobiographical, ecological, spiritual, relational, and ethical. While the strands of thought in Provoking Curriculum Encounters Across Educational Experience are indeed multitudinous, at the heart of this collection is curriculum as lived experience." Hannah Spector, Penn State University, Harrisburg.